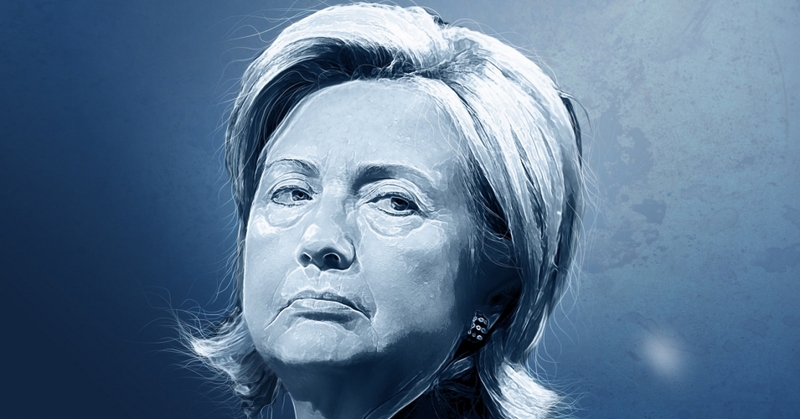 There is a substantial risk that Hillary “Hitlery” Clinton will become our next President. She is notoriously anti-gun, and has made many promises to her gun-grabbing campaign donors to give “gun control” (read: civilian disarmament) her top priority. Consider the guidance in this article just a contingency. You can simply ignore it, if Donald Trump is elected. (Since he is outspokenly pro-gun.) But if Clinton is indeed elected, then gun, ammunition, and magazine prices will surely start to rise immediately. And by the time she actually takes office, prices might well have already doubled or tripled, and shortages of some item–particularly standard military caliber ammunition and many 11+ round magazines–will be widespread. Withdraw some substantial cash (but not more that $9,700), and keep it well-hidden, at home. Pay off your credit card balances, so that you will have your full purchase credit limit available. Consult gun show calendars, and make plans to attend local shows. Note that many gun shows are now run as three-day shows, open Friday through Sunday. Check the advertised hours closely, and call to confirm days and show hours with the gun show management, before traveling. You will want to be there on Friday, to avoid the Saturday mob scene. Expend a vacation day from your work, if need be. Set bookmarks in your browser for ordering the particular items that you have in mind to purchase. Make detailed comparison price lists (or an electronic spreadsheet, if you are so inclined),in descending order of prices so you that won’t pay too much for what you buy. This research takes time, but that translates into saving money, so it is time well spent. On Election Night immediately after announcement that Hitlery is the projected winner in the Electoral College, go online and place orders with Internet sellers that take orders 24 hours per day, such as: CDNN Sports, GunMagWarehouse, Brownells, KeepShooting.com, CheaperThanDirt, Midway, Cabela’s (now part of Bass Pro Shops), J&G Sales, Bud’s Gun Shop, Dan’s Ammo, Lucky Gunner, Able Ammo, Ammunition Store, Ammunition Depot, Cope’s Distributing, Centerfire Systems, and GlockPro. Keep in mind that many manufacturers such as SIGArms, Beretta USA, and The Beta Company also take direct Internet orders. Stay up and complete as many of your planned orders as you can afford, late into the night. It you tarry and say: “I’ll do it tomorrow”, then you will probably be disappointed to to see “Out Of Stock” showing at many vendor web sites. Set your alarm clock, and start making calls to the mailorder vendors that don’t take Internet orders, starting right at 8 AM, Eastern Time. Be outside the door of your local gun shop before it opens. Bring lots of cash. Watch auction sites such as GunBroker.com and GunAuction.com closely, for guns that are on your purchase list. Concentrate on “Buy It Now” items, since the multi-day auctions will probably be bid up to stratospheric heights, in the panic period following election day. Sixth Priority: Magazines and ammunition for barter or re-sale. Note: Be sure to buy only either original military contract or original factory-made full capacity magazines–don’t buy aftermarket junk! In some families, a spouse might object to you making such purchases. Sit down and dispassionately show them the history of other “scare” and “ban”periods, and point out how much prices rose. (For example: stripped AR-15 lower receivers jumped from $60 each to $300 each, during the last big scare.) Tell them: “This is the equivalent of having the foreknowledge of what Dow Jones stocks will double or triple in price. It is wise to buy low and sell high.” If need be, promise your spouse that you will sell off half of what you plan to buy, after prices have doubled. That will leave the purchase cost of what you then retain, effectively at zero. Don’t panic, but recognize that Hitlery Clinton will probably act swiftly to restrict privately-owned firearms and accessories, using Executive Orders. Her transition team might even prepare them before she takes office. Most likely would be an import ban on magazines that can hold more than 10 cartridges, for civilians. Another likelihood is an import ban on military style firearms and/or parts sets. Another possibility is reclassifying 80% complete receivers. She might also direct the BATFE to expand the definition of “Destructive Devices” to include semi-automatic shotguns with detachable magazines. (Such as the Saiga-12, which is already import banned.) Plan accordingly.